I have worked with MinMaxx twice, and both times I had a very positive experience through the entire process, and with all the staff I interacted with. The process was efficient, easy and the staff were accommodating and professional. I felt informed every step of the way and both times my condo was rented in a short period of time. I worked particularly with Omer Malik, the sales rep. He was accessible, always offered his honest perspective, and was receptive to my preferences and concerns. Excellent customer service. I would definitely recommend them! We are getting settled in our new home and certainly appreaciate the great job Omer Malik and his team did in securing a fast sale (first 24 hours of list & at 100%) as well as ensuring we found the house we wanted just weeks later in Milton. Would not hesitate to recommend the Minmaxx team to our friends and neighbours. Add us to the list of satisfied customers! The MinMaxx Team successfully sold our house in only 9 days while saving us THOUSANDS in commission. A team of individuals working together quickly and flawlessly which made us feel like our house was the only one they were selling…even though they sell the most houses in Milton! I say forget “location location location”. The new catch-phrase in real estate is “MixMaxx MinMaxx MinMaxx”!!! I would like to thank you and our agent Bill Gardiner for the help in selling our home. Bill was extremely efficient in negotiating the deal that sold our home 99.7% of the asking price. He was very professional and very patient with us as he took us through the process of home selling which isn’t for the faint of heart! I would highly recommend (and have done to a few friends already) Bills services and those of Minmaxx Realty. Minmaxx provided us with exceptional service. Everything was done quickly and efficiently and we were amazed at the number of people who came to view our property. We always felt that Minmaxx staff and agents were really looking out for our best interests. In the end we got the full asking price we wanted and closing date! Thanks again! We appreciate your kind and professional help. Our experience with MinMaxx realty has been an absolutely positive one. Your company is very professional, helpful and indeed know how to sell a home. We would not hesitate to recommend MinMaxx to anyone who asks. Our experience with Minmaxx as a whole has been nothing shy of impressive. Azim and his team have a knack for being highly strategic and backed by clear industry experience. It was our first time selling a house and the first time not buying a new build. I have to say that the team was absolutely incredible at reassuring us each step of the way that they had everything under control. As a business owner myself, I pride myself on the quality of my staff and Minmaxx through and through had amazing resources that assisted throughout the entire process; from Colm and customer care to Omar and Azim’s approach to even the team that handled the marketing slicks, MLS descriptions and staging. I’m not sure what else can say. In our business we say “numbers don’t lie” and I am happy and relieved all at the same time to say that our house sold in 3 days at ASKING and we are about to move into a home that I’m confident will create so many fond memories for my family. I would just like to send this brief thank you, for the great job the Minmaxx team did when you sold my house. Even though my house was more than 170km from your main office, I never felt and I think Bill worked very hard at selling my house and made more frequent trips to the house than I did. I received first class service from beginning to end and I can’t say enough good things about Bill. All the hard work and driving he put in not to mention the long, late hours he worked on top of that. I was so impressed with your whole team that I am whole heartedly recommending you to all of my friends, family and co-workers. When the time finally comes to sell the new house we will definitely be using Minmaxx again. I would like to take this opportunity to thank the entire MinMaxx Team for their professional and friendly service. It was my fifth transaction with MinMaxx! In all of my transactions I have found them extremely professional and friendly. All of my previous houses were sold over asking. The last one was sold for over 99% of asking in this slow summer market, but still it was sold for record price of this model. I would like to personally thank our agent Omer for negotiating and finalizing the deal, Rabiya for extensive follow-up with potential buyers, George for organizing the open house, Colm for lot of coordination behind the scene, Azim for taking vacation after listing (sorry Azim, you know you are the best and thanks for the follow up while you were out of country on an emergency trip), Lucy for excellent staging advice, LaRae for professional photography and the receptionists for arranging appointments. I strongly recommend MinMaxx team and will use their services in future. The next morning, the house was on the market and we immediately received calls for viewings and within 3 days we sold our house for more than the asking price!!!! Our overall experience with Minmaxx and their team was exceptional; the home stager, photographer, customer care coordinator and all the people I dealt with were phenomenal. Within the hour, someone was at my door with what I requested. I would recommend the Minmaxx team to anyone who is looking to sell their home quickly and for top dollar. They make the process easy and stress free. Again, thank you so much for all that you did in making the sale of our home an easy one! I would like to thank you for all your efforts as a team towards the sale of my house. I had my first house sold by MinMaxx back in 2007 in 11 days and this current house got sold in 4 days. Great job MinMax, great customer service and absolutely fantastic communications through out the deal. My special thanks to my realtor Omer Malik for a very pleasant experience!!! We would just like to that the Minmaxx team for their excellent work and exceptional customer care. Our experience started when after several local Realtors neglected to return our calls we referred to Azim by a friend. He called back promptly and arranged to look at our property with a local agent Alan. We were impressed by the level of professionalism and quickly had confidence that Minmax would be the right team for us. Later that night we had a complimentary staging consultant drop by and we went to work. We put our home on the market and immediately there were viewings and within days we had sold our property for more than asking price! The next phase was finding a new property for us once we had decided on one that was right for our needs and price range Azim and Alan went to work for us to get the best possible price. We know how hard they worked for us but after a few rounds of negotiations we had a purchase price that was below asking price! Over all I estimate that Azim and Alan earned/saved us tens of thousands of dollars and that does not include their low commission fees. Further more there is another person whom we would like to thank and that is Colm, he works very hard behind the scenes coordinating between the Realtors and the clients. He has a courteous and kind demeanour which made the whole process even more satisfying knowing that we had an extra level of service in his wonderful customer care. The Minmax team had really set itself apart in the Realtor field. Every single person that I have dealt with has been professional and genuinely kind. We’ve dealt with other Realtors from other companies and frankly were made to feel like an inconvenience. I felt we did more work than they were willing to and were only too happy to take an undeserved large percentage of the sale. Honestly, Minmaxx has introduced me to a level of customer service that I didn’t realize existed in this industry. When one considers how much a consumer is paying other Realtors for substandard service why would anyone want to go anywhere else? I would also like to thank Azim and everyone for organizing a wonderful day at the African Lion Safari my children had an amazing time. I would not hesitate to recommend the Minmax team to anyone! This letter is to express my sincere appreciation for all of the hard work, professionalism, and attention to detail that the entire MinMaxx Team put forth in representing me during the sale of my property. MinMaxx was able to get my house on the market on time as promised, worked with me to identify the correct price, and ensure that my home was marketed using various methods across the GTA for maximum exposure. As my home was one of the larger homes on the market, we knew the only certain buyers would meet the criteria. Our house was put on the market on my terms, at my price, and was confirmed by the MinMaxx Team as the correct range. Immediately, there was a lot of traffic and interest in the house and our home sold at 99% of the asking price. We sold our house faster than expected and also, we sold before a series of existing homes on the market who “were not priced correctly”. Furthermore, after we sold, we noticed that a few of the houses adjusted their price to our original listing price range. Getting my price- and the right price was important to me. MinMaxx was the only realtor in the market that I felt would help me sell my house as a team, on my terms. It is my pleasure to write this letter of appreciation on behalf of the MinMaxx Team. I would gladly refer them to my family and friends, and use them again in the future. I would especially like to thank Omer Malik and Colm, our customer care agent. Omer was very professional and very knowledgeable, always ready to educate to buyer and negotiate on the clients behalf. I remember the buyers agent sweating and saying ” you guys are tough negiriators” :). Colm was amazing and was really a key factor on the sale of our home working directly with me, the client and behind the scenes keeping things in order. Colm’s professionalism was very important to me, as his passion for what he does it great. He was outstanding! Without him, I am not sure the deal would have been done. Colm made our family believe that we we not just another customer with a house up for sale, he called, did research for us and always followed up and delivered on what he promised. As this was my first experience selling a home, I had no idea what to expect. I found the agents and their staff very professional, courteous and respectful, of my time, situation etc. They were very organized with their showings and Open Houses. I appreciated how well they communicated to me and kept me informed. Thanks Minmaxx for a Great Experience! We would like to take this opportunity to thank Omer, Azim, Colm and the entire MinMaxx team for the excellent service we received. They provide outstanding customer service through the entire process. They provided great ideas for staging the home and superb photography of our home. We would recommend Omer and MinMaxx to all our friends and family. First and foremost congratulations to the new homeowner/s, to MinMaxx team and off course to ourselves. The process from deciding of selling our home towards the finalization with the paper work, we can only applaud to this one. First ever worked together with the MinMaxx team was as we have known them for years not only in pearson but as well in the community. Certainly, one of a kind, unique and clever strategic approach has been used throughout. Even today we are keeping a relationship with the realtor’s team. The hierarchy from the help desk towards the broker of record, it was an amazing experience. This was an initial recommendation and so we do as well would like to take the opportunity to recommend homeowners in Milton and elsewhere to join the MinMaxx team because the result will be the best of the best as we had our home sold for ‘over asking’ and for the ‘record sold price’. All the best and we will continue to make the Milton region the place of home. Thank-you for the services you provided with respect to selling our house. It was a success all around. Thanks, again for a successful sale, and we wish you the best in the future. Should we need your services in the future we will be sure to give you a call. We recently used MINMAXX as our agents for our first experience with selling our home. We were extremely impressed with the professionalism, productivity, and knowledge throughout the entire process. Azim represented us in an utmost professional manner during our multiple offer situation. The communication from Colm and other MINMAXX staff regarding showings via email and telephone were always timely and efficient. Our future realtor experience will definitely include MINMAXX as they treated us as a part of the MINMAXX family. I would recommend MinMaxx Realty. Very professional and friendly service from everyone we were in contact with from start to finish. I’ve had a great experience with MinMaxx Realty throughout the process of searching for and buying of my new house and selling of my current house.My agent Robert and the entire MinMaxx team kept me informed, answered my questions and worked with me to ensure a successful result.A great team effort! My wife and I are extremely pleased with the level of service provided by the entire staff at Minnmaxx . From the initial presentation to the closing of the sale of our property,we were treated to the most cordial and professional handling of our account that we have ever experienced. The expertise exhibited by all of our Minnmaxx contacts was exemplary . We would highly recommend Minnmaxx to anyone seeking Real Estate services. I’d like to formally thank you for all your hard work and flexible schedule. Guys your dedication to satisfying your clients is outstanding and is greatly appreciated. We have and will continue to use Minmaxx. We will continue to recommend you and your wonderful team to all our friends family and anyone else that’s needs a realtor. Thanks again for finding my family a “Home”. Thank you Azim & Omer, You have done an excellent job and closed the deal. Azim, we were thrilled to hear you decided to work with us. You made the concept and process extremely simple and easy and we have a contract in less than one week on our home. We were able to be more competitive in the market as our selling cost was based on your experience and market research. In fact the deal is closed for more than the asking price. I would gladly recommend your organisation to anyone. Your website is very user friendly & all call-center communications were accurate. I would recommend MinMaxx Real Estate Agency as a place to list your home to my friends and family. Overall the MinMaxx Team got the job done in spite of my situation and circumstances. Specifically Omar and Azim stuck by me and never give up until the house was sold and for over asking. I definitely appreciated their recommendation and support. My home was advertised effectively and resulted in lots of activities which in my opinion is a sellers dream. The help provided to stage my home was also excellent eliminating any pressure of having to do this all alone as a seller. JOB WELL DONE!!! We would like to thank MinMaxx for the great job they did. From the time we first called Minmaxx until the time our property sold was less than one week — and multiple offers at that! Everything was handled in a prompt and efficient manner which was very much appreciated. So, thank you all, and especially Omer Malik, our agent. Thanks for the great work. I really appreciate it. Great experience working with the Minmaxx team, would definately recommend. Ken and myself cannot thank enough the whole Minmaxx Team for taking us through the sale process with lightening speed and accuracy. From our first meeting with our agent Omer Malik, who presented himself as a true professional and was very well prepared with data concerning our home and the neighborhood, to the excellent office staff who were also friendly, professional and knowledgeable it was a pleasure dealing with you. We would most definitely recommend you in the future. Just a brief message to inform you of the excellent work Bill had recently done during the sale of my Daughter’s home in Waterdown, and; the purchase of her resale home in Milton. Bill worked very hard on my Daughter’s behalf regarding both aspects of this sale and purchase. You should be proud to have such a outstanding professional on staff at Minmaxx. In fact, when the time comes for my Wife and I to re-locate, Bill will be the first person we contact. Please pass on our sincerest appreciation of Bill’s extremely fine efforts. Thank you so much for all your help. We made the right decision in getting you as our agent. You proved that you really know the market in Milton. We will definitely refer you to our friends who will consider buying or selling a house. Ryan and I also wanted to give you, Azim, and the rest of the MinMaxx team a great big thank you for all your hard work, support, and outstanding customer service. MinMaxx is the only real estate company we’ve ever dealt with and should ever the need arise we would definitely go through you guys again….and we’ll definitely send friends your way who are looking to buy or sell. You guys are an amazing team! We wish to express our sincere appreciation to the entire MinMaxx team for assisting us in the quick, and easy, sale of our home in Milton. Our initial meeting with our agent Omer assured us that we had chosen MinMaxx wisely; the sale of our home within 24 hours of listing (over asking!) proved us correct. Every last detail was covered with utmost professionalism and efficiency. We would not hesitate to recommend MinMaxx to anyone looking to either buy, or sell, their home. I’m writing this testimonial to the superior service provided by MINMAXX. Since the first time I met Azim, he presented MINMAXX as a professional and well established realtor company. There sales and knowledge of the market are top shelf. The proof is in the pudding and you can see why MINMAXX is number one. Azim and the MINMAXX team worked extraordinary hard to get best price for the sale of my house and sold it in such a short period of time. Colm’s assertiveness and dedication to providing excellent customer service was bar none outstanding. I will always continue to use MINMAXX in the future and they will always be my first choice for realtors. As always, MinMaxx has surpassed my expectations, and you will always have my business! It is first time for my family selling house. We have fantastic experience with MINMAXX for selling our house. We’re really impressed by our agent’s real estate knowledge, the professionalism, and courteous, efficient service. It only took one week from House evaluation, Staging, Photographing, MLS, Putting up Sale Sign to SOLD OUT. It’s amazing!! Also, MinMaxx Team’s strong negotiating skills help get house price (over asking) and exact closing date that we want. Your team do really great job! If our friends or anyone ask us for a realtor to sell house. We’ll highly recommend MinMaxx Team. Everyone at MinMaxx, we would like to thank you very much for all your hard work. It was a great experience dealing with all of you and very comforting. We have bought and sold before with different agents, they were okay, but MinMaxx really takes care of business and everything done appropriately and quick. We were recommended by others to Minnmax because of the great fee structure and customer service Minnmax offered, but Minmaxx agent far exceeded our expectations! He was always available to answer our questions and did his best to make arrangements for us to see homes the very same day that we requested. We really appreciated that he took the time to walk with us through the homes we were viewing and pointed out positive as well as negative aspects of the home. When it came to selling our house, he conducted a walk-through of our house and provided valuable advice on the simple improvements we could do to obtain the maximum value for our home. Our home ended up with 3 offers and selling for approximately $10,000 above asking! It was a great experience overall and we would definitely recommend Minmaxx to anyone buying or selling a home. Peter and I want to take this opportunity to thank Azim, Colm and the entire MinMaxx team for the excellent service we received. The outstanding customer service, from beginning to end, is second to none in this industry; from informing us on recent asks and sales, to staging the home, to the photography of our home to the sale of our home. Fantastic!!! We would recommend Azim and MinMaxx to anyone wanting to sell their home. Thank you for everything!! As a first time home seller Azim and his team made the experience very easy. Even during the stressful negotiations Azim gave us the support we needed to get the maximum price for our property. The next time I sell it will definitely be with MinMax! The Minmaxx team could not have been a more professional group to work with. Their knowledge of the Milton marketplace paired with the market comparables helped us price our house right yielding an offer for 100% of the asking price in 30 days! On the flip side, they put us into the perfect home with everything on our wish list; all for a fair price. Minmaxx provided excellent service, plus saved on commission costs. Who said great service had to cost a lot? We would like to extend our sincere thanks to MinMaxx for the excellent service that was provided to us through the recent sale of our home. Prior to contacting MinMaxx, we spent many hours weighing our options. We chose MinMaxx based on your reputation and commission structure. What we were not prepared for was the level of service that we received from the moment that we made the call to meet with an agent. From the point of first contact, we were treated as preferred clients. The level of stress that is generally associated with selling a home was immediately removed from the situation. We felt sure that we were in good hands based on our first meeting and the solid backing of the MinMaxx team as a whole as opposed to a single agent, as demonstrated by our informative and eye opening appointment with the team’s interior designer, Sue Seghal. The MinMaxx team manages to demonstrate a level of professionalism associated with a large company while also providing the comfort level and familiarity of a small business. To top it all off, our house sold within 48 hours of our first meeting, above the asking price. We couldn’t have asked for a better experience. We tell everyone who will listen what a great experience we had with MinMaxx and we will continue to recommend your services to all of our friends and family. Three words…”ABOVE AND BEYOND”. That is what my family and I would use to describe the TEAM at MINMAXX. It all starts from the top and permeates throughout the organization. Azim Rizvee is the person to have behind the wheel when it comes to effective negotiating and will ensure that the house is priced correctly in the current market and will stick to his guns to see it through. The Customer Service staff is ALWAYS more than ready at the helm and the experience overall was one to remember. I WILL NOT use another real estate agency, other than MINMAXX. Thanks for all the help you provided us lately. We’d particularly like to thank you for your generous offer of free listing and the vacation gift during customer appreciation event. Can you please pass on following comments to Champion on our behalf? “Our house was destroyed by fire in December last year. While dealing with the consequences of this devastation, my family and I needed to rent a house as a first major step towards rebuilding our lives. The MINMAXX organization helped us in finding a house that we needed in a record time. We greatly appreciate the professionalism and “customer first” attitude of Minmax. Listing our home with MinMaxx was the best decision we made. We listed our home on a Thursday and by Sunday had 16 showings and 6 offers. Due to the bidding that MinMaxx created, we ended up selling our home for over the asking price. The MinMaxx team were very professional throughout the entire process. Above all of this, they were attentive, responsive and always available when we needed them. Not only did we save thousands of dollars in realtor commissions, but we received highly professional services. I will be referring all of our family and friends to MixMaxx in the future. We want to thank the MINMAXX team for exceeding our every expectation. You clearly described the selling procees and what you and your team were going to do to sell our home. It was immediately evident that you were well versed in the trends of the housiing market and more specifically, you were aware of every recent comparable listing or sale in our area. You clearly do your homework! We were really impressed with the amount of exposure our home had on your web site, MLS and newspapers, especially the weekly add on the first page of the classified sction in the Saturday Star. We are really happy with the sale price and kudo’s to you, you are a master negotiator. You have an extremely professional staff who are knowledgable, efficient and friendly. It has been a pleasure working with you and we will certainly sing your praises to all of our family and friends who will buying or selling in the future. I wanted to express my gratitude to the team at MinMaxx Realty. They are quite the amazing team. We decided to call MinMaxx after seeing all their SOLD signs around Milton. It only took the first meeting to affirm the this is the right team for the job. Our house sold in a week and half and it sold over asking! Not only that, but the MinMaxx team were able to negotiate the exact closing date that we wanted, which I thought was going to be difficult to do. The knowledge, the professionalism and the courteous service that the MinMaxx team provide is second to none! I would recommend MinMaxx to anyone who is looking to sell their home for maximum return in minimum amount of time. This was our first time selling a house. I was told that the experience can be quite stressful. I am happy to say that I don’t know what that stress feels like thanks to the MinMaxx team. We really got the feeling that we had the best representation in the team at MinMaxx, and we wouldn’t hesitate for a minute to have them represent us again. We would like to thank you for your expert, professional, prompt and quick service for selling our home. Minmaxx team’s courteous and client first policy gave us a very satisfying experience. We will undoubtedly be utilizing Minmaxx services in the future if required and will recommend Minmaxx services to all our contacts. Thanks again for making our first home selling experience a pleasurable one. I would like to take the time to thank you and your very professional team. When my wife and I decided that we wanted to sell we called the Minmaxx team. Not knowing what to do as this was our first home, we had you in to our home and after hearing the presentation our one and only question was answered “what’s the catch” that answer being there is no catch. Seeing the success and outstanding customer service you provide for your clients we where very happy that we made the right choice and will never hesitate to mention to family and friends who are selling or looking for a home who they can go to for the best customer experience. We sold for 100% of asking the first day on the market so to the MinMaxx team, my wife and I thank you very much. We were quite amazed how many of our fellow neighbors have used MinMaxx realty to sell their home in our community their background knowledge in understanding that our community is one of the key reasons we have decided to used their expertise and excellent service in selling our home. It was one of our best and easiest decision we could have made. Working with the MinMaxx Realty team was a great pleasure. We will definitely be using their services in the future. Thank you MinMaxx team for your excellent service, professional attitude, and efficiency in selling our home. WOW!!! Honestly what can I say, Minmaxx is literally amazing!!! They come in and do their magic. This was my second time using Minmaxx and both times I had over 110% satisfaction. Both of my homes I had Minmaxx sell had multiple offers. I have owned three homes in Milton and I made a mistake with my first home I sold in Milton. I did not use Minmaxx and I was thoroughly disappointed. From the lack of customer service from the real estate agent, to his non existence of presenting the offer to me. Not selling a home before I was thoroughly disgusted. I had never felt so stressed as I had with this agency representing my home. Selling your home to me is one of the most stressful situations you will have to experience especially if you purchased a home first and then you are selling. Minmaxx takes that stress away. They market your house, they show your house and represent your house like it was their own. I wanted an offer before the holidays with a close just after the holidays . I called Minmaxx basically to the rescue. I literally spoke to Minmaxx on the Sunday and my house was sold firm that following Wednesday at 10pm. No conditions, over asking and with a reasonable closing date that I could live with. I had three offers and we broke a record of selling the largest semi-detached home in Milton for the most money. It was quick and painless. Professionalism, knowledge of the market, negotiating skills and business savvy. It was all there. I loved it. Minmaxx is awesome! You will not be disappointed. They are a great TEAM!!! Trust me. After seeing their Sold signs all over our neighbourhood, we decided to give MinMaxx a call when we sold our house. From our listing presentation, to our property showing, to closing the deal, I am convinced that there is no one better for the job than the MinMaxx team. Not only did they take care of everything making this a pleasant experience, they exceeded our expectations by selling our home over asking price for $350,000 in 4 short days. I highly recommend MinMaxx to anyone buying or selling their home. Their professionalism, knowledge and negotiation skills is second to none. When we decided to see our house, we never imagined that it would be such a short and pleasant experience. One day we listed our house, the next we sold it for 104% of our original asking price. Literally! I cannot emphasize enough how great of a job the MinMaxx team did in selling our house. Within the first 5 minutes of our initial conversation with a MinMaxx team member, we had no doubt that their market knowledge and expertise was superior to anyone we had spoken to before that. Simply put, they could not have done a better job. Kudos to the MinMaxx team! Dear MinMaxx Team, we would like to take a moment to thank you for helping us in buying our dream home and selling our existing one. Both transactions were handled professionally by MinMaxx team, who works hard for their clients day in and day out. Our house was sold for 102.5% of asking price with multiple offers received after being 3 days on the market. Selling the house shouldn’t be stressful experience; in fact it was enjoyable as MinMaxx has proved. MinMaxx knowledge of the current real estate market is really impressive. We will definitely recommend your services to friends and family. Our Dealing with MinMaxx has been a wonderful experience. We have had a past history with them from our first house in Milton that they sold for us within a week and helping us buy our next house that we moved into in Burlington. Last year we decided to move again went with a different agent in the Burlington area and they could not sell our house. We called MinMaxx and within a short period the house was sold and again we purchased our new house using MinMaxx. What we like with Minmaxx that makes them different from there compettitors is the amount of advertising that they do for you and the attention that you receive from them there customer service is outstanding. To make our experience even better our son made my fiancee and I the winners from the free monthly listing draw for October. I recommend Minmaxx to all our friends when looking for a realtor. We could not be happier with the service we received from the MinMax Team! The Team was outstanding when it came to their incredible 24-7 service, their comprehensive and up-to-date knowledge of the market trends, their efficient negotiation skills to get us top dollar for our property, and their ethical practice and honesty when selling our home and purchasing our new one. We sold our property in one day at $12,000 over asking price!!!! If you have an opportunity to look at the Real Estate statistics in Ontario, no other Real Estate company even comes close to what MinMax has accomplished.  They have sold more homes this past year than any other Real Estate Broker in Ontario! They have sold these houses in the least amount of days on average on the market. We believe, through our experience, that no other Real Estate company can get the job done to sell your place in record time like MinMax can! The MinMaxx team are the consummate professionals. When the first conditional offer on our property fell through on the buyer’s end and we found ourselves running out of time on firming-up the offer on our dream home, the Minmaxx team rose to the occasion by directing purposeful buyers toward our property. Within 36 hours, not only did we end up selling our Mattamy Croftside at 106% of asking price, we confidently purchased our future home! Many thanks to the Minmaxx team! First I would like to say that this is the tenth home we have bought and sold, and we have not before worked with a company like MINMAXX. We would like to thank you for the professional and efficient service we received from your team during the purchase of a new home and selling of our home. Your team works so well together to get the job done with minimal disruption to our lives. Thank you so much! I will be singing your praises to friends and family. Our sincerest thanks to Minmaxx Team. We sold our house after 1 day on the market for our full asking price. Minnmaxx’s fees may be low but their service is fantastic. I don’t understand why anybody would pay full commission fees when top notch service is available from Minmaxx. We have dealt with other full price realtors in the past and didn’t receive the kind of service we got from MinMaxx Realty. MINMAXX went above and beyond to help us sell our house for the price we wanted. To top it all off- we won the monthly draw and won our comission back! I would definately use Minmaxx again and will recommend them to others. Particularly we want to congratulate you on your professional approach and deligence in selling this house in one week from the time you first listed it, we are sure your hard work in advertising had a bearing on its quick sale. On top of this we would like to say that It has a been a pleasure for us to have done business with you. At all times you were professional, knowledgeable and explained the aspects of the process to us in a clear and concise manner. You did exactly what one would hope for in the sale of their property – You sold it quickly. Once again, thank you for representing us and best of luck in your future business. I would like to say it was also a pleasure working with MinMaxx Team. I have sold homes in the past but by far this has been the best experience, you were very professional, very organized, you did lots of research for me and you went above & beyond your call of duty…..these days no one has the time to do that for you so I would like to say thank you for your excellent services, I would highly recommend you to others. This really was a very smooth experience even with the bumps that came up, I appreciate all you’ve done. We are so thrilled with the amazing results from the sale of our home with MinMaxx. Our broker/agent was very honest and professional, and was able to get us so many showings that we sold in 3 days for over asking price! We cannot be more thrilled with your service. We have already recommended you to our friends and families. When the Minmaxx broker first came to our home it did not take long for us to be impressed by his knowledge of the current market trends and of the housing “climate” in our own neighbourhood. The broker helped us to list our home at a realistic price and then followed through on the promises of excellent service and commitment to getting us the best deal possible. The staff at Minmaxx were open and very responsive to any of our questions and concerns. Thanks, Minmaxx. We will recommend your services to others and definitely have your name on hand when it is time for us to sell in the future. We’re thankful to have been able to work with you on this! We’ll definitely be recommending MinMaxx to anyone in the area who is looking to buy or sell. The difference you’ve helped to make in our life together as a family is a substantial one. We’ll be saving hopefully around 250 hours each for every year we live in the new location. This amounts to about 30 days off per year. Looking forward to re-investing that in our family and community as best we can. We were very impressed with MinMaxx’s professionalism and honesty. We began our listing appointment with little knowledge of MinMaxx, and concluded our meeting with not only knowledge of the brokerage, but also knowledge of the current market situation as it pertained to our property. We felt comfortable and confident about listing and selling our home with MinMax. Our home sold in 14 days for 99% of the asking price. The MinMaxx team did a terrific job selling my property. In 5 days, my condo had 54 showings and received 10 offers! The MinMaxx team was very professional, on time, always available, and best of all they offer the best commission rate in the market. Sincere thanks to the entire Minmaxx staff. Your efforts go beyond the call of duty. Our mayor is right. To echo his words, “as our city continues to grow we welcome good people like you”. Your strong honest work ethic, and integrity always shine through. No wonder your company is #1 in Canada. I’m so glad I called Minmaxx. Thank you for your support. When my wife and I decided to upgrade our home and move into something bigger we started by visiting open houses for a few weeks. During the process we weren’t sure how to pick an agent since we bought our first home privately. We met many agents who tried to get appointments with us. Then one night we met Minmaxx at a property they just listed… The property wasn’t for us but we are sure glad we went to see it because if not we may have made the mistake of listing with somebody else. After a lengthy discussion with Minmaxx that evening, we left with a feeling of comfort and trust that we hadn’t felt when speaking with any other agents. With both of us being self employed and having a house to buy and a house to sell the stress and tension was mounting; Minmaxx took all of that away. They showed us a home and we put in an offer. They more than helped us in the negotiating process and we walked away with a deal the more than satisfied what we had planned. Then it came to selling; to put it simply, Minmaxx “said what they did” and “did what they said”. Our home was listed very quickly and sold for 100% of asking within a few short days. I would recommend Minmaxx to anyone looking to buy or sell. Their knowledge of the market, well planned strategies, negotiating skills, and no-nonsense way of business will prove to serve you well. All of that and they managed to take away the stress of the situation at the same time! THANK YOU Minmaxx!!! I will gladly recommend you to anyone, and will never use any other agent. You more than delivered MAXIMUM results with minimum effort on my part. I am very pleased that MinMaxx delivered fantastic results on the sale of my home. I’ve used other real estate agents that only delivered excuses why my house wasn’t selling, and actually told me to take my house off the market during the holiday season to “try again” in the new year. I’m very pleased that at that time I decided to use MinMaxx who wanted to get to work right away. He proved to be a shark in the housing market who knows what he’s doing to get the best price for me. Did I mention that he sold it in 5 days?!! While the other agents were blaming other factors, MinMaxx was working tirelessly following up with potential buyers and communicating results to me. I felt confident having them on my team during negotiations, especially when they fought for the best price when I was ready to go a bit lower…. I would highly like to recommend MinMaxx Realty to anyone who wants solid advice that comes from experience, someone determined to work hard for you, and who likes to have extra money in your pocket! Thank you MinMaxx! MinMaxx surpassed our expectations as a realtor. The MinMaxx agentt’s service was friendly, prompt, and by no means aggressive. He took the time to explain every detail to us. Unlike other ‘big name’ listing agents, our agent did NOT undervalue our home to make the quick sale. In fact, it broke the record for the highest listed priced Mattamy Bryant Model in Milton. With our MinMaxx agent’s strong negotiation and marketing techniques, the house sold for more than asking, without a bidding war. After consulting multiple listing agents, MinMaxx’s marketing strategy truly stood out above the rest. Like all great entrepreneurs, our MinMaxx agent has found what is lacking in the real estate business, and has successfully acted upon it. Most importantly, unlike some other agents, our agent’s interests were with us as the customer, and not his own. We would definitely refer MinMaxx’s services to anyone looking to sell their home in the near future. We are very happy with the service we received, and the “hassle free” manner in which our home was sold. Thanks again, MinMaxx! As first-time home sellers my husband and I chose MinMaxx as the real estate company to represent us. From the moment that we met with our agent we knew we were in the hands of professionals. The whole process seemed completely foreign to us and our agent did an incredible job of breaking things down so that we clearly understood every aspect of selling our home. Any questions or concerns that we had were answered almost immediately. Our agent was completely accessible to us, knowledgeable about our area and the demands of the constantly changing market. Selling a house is one of the most stressful events in life. The MinMaxx team did an excellent job of marketing, advertising and selling our home. The MinMaxx team was always professional, courteous and extremely prompt in their communications with us. We know that we made the right decision to sell our home with MinMaxx and we will always be grateful for their assistance through such a tedious process. We will recommend their services to anyone who is thinking of buying or selling a home. First of all, a big thanks to you and your team. This weekend was a huge endeavor which you guys took and executed with more than enough zeal, enthusiasm and professionalism. You have picked up some excellent team members and I can understand now how this weekend worked out so meticulously immaculate for your 52 Open Houses all over Milton. I’ve been in the market looking for a house for the last 8 months and counting. The way the market has been going lately, I have been just browsing. Your Open House extravaganza this weekend provided me with an excellent opportunity to look at what Milton has to offer for a choice of my future home and educated me with a lot of good information to sift through in the coming week to finally make a decision. I still can not believe it myself that I saw 26 homes in 2 days without anyone escorting me to each one of them. Your team had prepared the documentation to perfection. I will definitely keep in touch and hopefully, finally will be able to decide on my future home. We cannot praise MinMaxx highly enough. When we decided to put our house on the market we wanted to sell with as little disruption to our lifestyle as possible and without it costing a fortune. We called the local office and made an appointment to meet with a representative. When we met the following day he spent time explaining their marketing technique and the next steps to a successful sale. The house was put on the market the following Monday, and after only 9 viewings we had 3 offers and accepted the offer of the full asking price with our preferred closing date after less than 2 weeks on the market, plus we saved thousands of dollars in commission, it really couldn’t get any better. We would highly recommend MinMaxx to anyone thinking of either selling or buying a house. effectively. MinMaxx went into action right away, and within a few days I had gorgeous feature sheets that incorporated all of my “wishes”, a virtual tour available, newspaper advertising, and a “Take One” feature box on our sign. As a first time seller, I had many questions and MinMaxx was always prompt in their patient responses. Despite the softening market, within 7 days we had an offer and sold our home for 100% of asking price! Even in the negotiations, our agent listened to our needs and really went to bat for us. I would be completely comfortable in referring other buyers and sellers to MinMaxx. They will price your home right and will provide you with top marketing services! I’ll definitely refer you to other people we know thinking of moving. We want to convey our sincere appreciation for all that MinMaxx did to assist us with the recent sale of our home. Having purchased a new home, and being in a position of having to sell our existing property in a short period of time, we knew that our choice of a realtor was of utmost importance. We were convinced, from our first meeting with MinMaxx, that our decision to engage their services was the right one. Their professionalism, knowledge of the market, suggestions and marketing strategies all contributed to our overall feeling of confidence and peace of mind. Finding someone willing to take the time to listen to our needs while keeping our interests in mind meant a great deal to us. It was great working with a realtor who is so committed to getting the highest possible return on our investment and someone who is passionate about what they does for their clients. Can’t thank you enough for all your efforts! We would not hesitate to recommend you to our friends or anyone who may be looking to sell their property in the future. I would like to take this opportunity to thank Minmaxx. They have done a great job for me over the years. They have given me peace of mind and assurance with all my investments in real estate. Minmaxx is the most professional and knowledgeable real estate brokerage that I have ever met. In my opinion, they are the best in the business. Minmaxx has been very successful in selling real estate for me, and all of the GTA. I would recommend them to anyone thinking of selling their home. You will not be disappointed, Minmaxx truly is the best! Once again Minmaxx, thank you for all your help. Actions speak louder than words and Minmaxx has spoken volumes about the level of commitment and services that it offers. Your dedication, market research, advise during the warm up phase, and negotiation skills have left me convinced that you stood by what you promised us. Your professionalism along with your sincere attitude in representing us is definitely elite and top of the order. You have done a fantastic job for us in selling the Milton home and I would definitely recommend you to anyone – no questions asked. Thank you once again for all the pain, the patience and the confidence you showed until the end in selling the home. What Can I say, we’ve heard all these rumors about MINMAXX becoming the new King in Real Estate domain, then one day I decided to give them a call so I could finally avail their so called amazing services. Wow! Met up with agent next day and a week later my house is sold for 99% of asking price! I didn’t even have to finish my de-cluttering job! Thanks to MINMAXX!! MINMAXX really is the new master of real estate domain!! Thank you MINMAXX! Your knowledge of the real estate industry and current market conditions was appreciated as it led to us market our home at the best price. We had our house on the market for three days with lots of activity and multiple offers . This resulted in us selling for almost $10,000 over list price. Most people would likely agree that the decision to sell a house isnÂ’t an easy one. A large component of easing that decision is the choice of realtor that is used to represent your best interests. This was more than demonstrated during our recent engagement with Minmaxx Realty. Based on visibility in our community, word of mouth, a great first meeting with Minmaxx and a very attractive commission structure, we opted to utilize their services. The initial nervousness was soon eased when we saw the speed, efficiency and professional manner in which the team conducted business. Thanks to the knowledge and guidance of our representative, we were able to sell our house quickly and at the price we wanted. My wife and I are very pleased with the level of service from Minmaxx and would recommend their services to anyone. We would like to thank you for helping us to sell our property. We’ve found that you were professional and approachable and always available to answer our questions or concerns. We would definetly recommend you to our friends because we feel that you are knowlegeable and deal with clients professionally. I do not feel the need to write more in this letter of recommendation and commendation than what needs to be said, because our story is simple as are our comments. We found MinMaxx Realty through their advertisements, and upon contacting them for the first time by telephone, knew that they were professional in the business that we were ready to meet with. In such an industry, and with so many agents and brokerages to choose from, it is sometimes intimidating to know where to start; we chose well. After meeting MinMaxx Realty, discussing our expectations, going over our options and listening to their potential plan of action for us, we knew that we had found a brokerage that would work well with us to sell our house; it is indeed a team effort (essentially, it is our belief that when someone signs with an agent, it is important to listen to their critics, and to follow through with the changes that may need to be made to improve the presentation of your home). We decided to sign with MinMaxx, without even interviewing any other agents at all, because we knew that they had the plan to sell our house that was reflective of how we wanted things to unfold. Their demeanor, tactics, strategy and negotiating skills were what it took to sell our house in the timely manner that they did. We had a great product to sell, and working with MinMaxx, we saw how the right agent, listing price, listing date and presentation are all of equal importance in getting the best results in a quick and painless manner. To sum up the experience, and without going into unnecessary details, we sold our home in three days of being on the market for just above the asking price. We then floated on cloud nine for a few days! MinMaxx are essentially Â‘straight-upÂ’, Â‘tell it like it isÂ’ agents. As high as our expectations were of them as our brokerage, theirs were high of us as clients, and we worked beautifully as a great and positive team together. They are honest and knowledgeable not only to and for their clients, but to all they deal with in respect to the sale, and thatÂ’s what sells! Thank you MinMaxx Realty, we did it, and it was a great time; no fuss, no muss! What can I say about the MinMaxx Team? Having sold two other houses in the area myself, I figured I’d give MinMaxx a try. Boy did I get my money’s worth! Not only was MinMaxx Realty extremely responsive but by far provided the most communication I have ever received from any of the Real Estate agents I had ever worked with. Now the nitty gritty. MinMaxx had positioned our house in such a fashion that we were able to realize 104% of our asking price. His confidence and direct manor is a clear asset in his ability to negotiate a fair deal for all and again way out classed any other Agent that I have met or worked with. 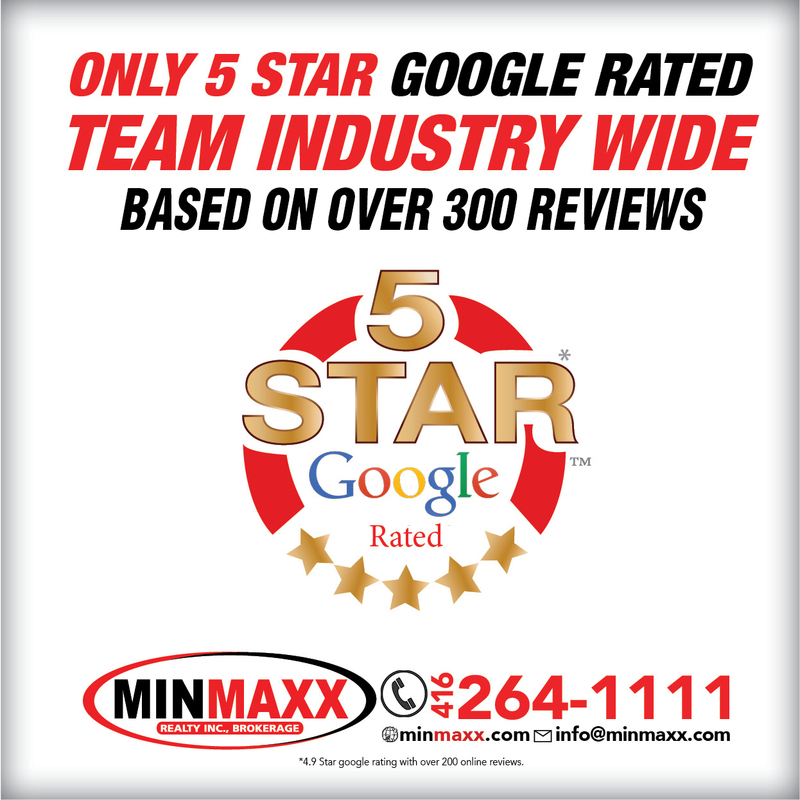 Needless to say I would highly recommend the MinMaxx team and please feel free to ask MinMaxx for my contact information if you would like to get further details from me. It has been a real pleasure to work with you. I am so happy with the sale of my house that I am hoping you will use my testimonial to prove how great professional, dedicated, and market knowledgeable you have, quality and knowledge that have definitely contributed to the sale of my house so quickly and so well. My wife and I decided to call MinMaxx Realty, when 3 houses sold in my neighborhood in about 2 to 3 weeks. Now, 6 houses have been sold in 6 weeks, all of them above the asking price, in the same crescent. Mine was been displayed beginning of June 2006 and has been sold 4 days later $500 above the asking price. Like I am saying above, we have selected MinMaxx Realty because of their professionalism. The first meeting took place in my house at 9:00 P.M. in the middle of the week, when my wife and I made the decision to sell the house. MinMaxx suggested coming right away. 20 minutes later, they were explaining everything from market prospective, market price, when selling to optimized profit, expectation or duration to sell the house, all those kind of things that drives you into a very comfortable position. I am myself Sales Manager and I know the difference between a dedicated, excellent professional that brings results versus somebody else that doesn’t deserve those adjectives. Thank you MinMaxx Realty for your definite competence that made the difference. “Our home was SOLD in 3 days, the same day showings started, with 2 offers leading to a sale price over $5000 what we listed for! We recommend MinMaxx Realty Inc. to anyone who wants to SELL or BUY in the area.  Excellent service, because true to their name, they offered MINIMUM COMMISSION with MAXIMUM RESULTS! My husband and I would like to thank the staff of Minmaxx Realty Inc. for their outstanding customer service. MinMaxx Realty not only has great knowledge about real estate but also the community. They were very quick and efficient. We will recommend Minmaxx Realty to our friends and family. My husband and I saw the results of MinMaxx on our street and decided to sell our house through MinMaxx Realty. We were very happy with the professional manner, the non-pushy style of the agent and of course when our house sold for $5000 MORE than what were asking within a couple of days we were really happy. Ever since then we have referred MinMaxx Realty to friends and family and will recommend them to anyone who wants excellent results on the sale of their home. MinMaxx Realty was AWESOME / PROFESSIONAL / GREAT Customer Services !!!!!! Our home was SOLD in 1 day, the same day showings with 3 offers leading to a sale price over $6000 what we listed for! We recommend MinMaxx Realty Inc . To anyone who wants to sell or buy in the area.